TattooInkFixers | If You Can Think It, We Can Ink It! Our Tattoo Artists Are Skilled Professionals Who Specialize In Designing Completely Original Tattoos For Every Client. We Can Work With Existing Designs, Reference Material, Or Ideas Straight From Your Mind. Appointments Preferred. For Appointments, Contact Us Directly On +91-9953968262 or Send Message Using Appointment Form. Walk-Ins Welcome. For More Information, Take A Look At Contact Us Page. We’Ve Got Cool Stuff In Blog And Will Be Updating It Periodically. 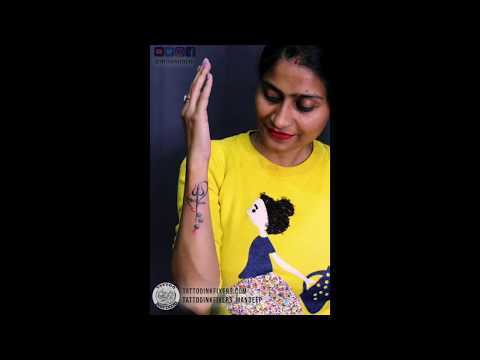 Maa Paa(Mom and Dad)Tattoo| TattooInkFixersThis Maa Paa Tattoo dedicated to parents. Thank you guys for my first tattoo. Great work as I wanted. Thanks for suggesting me the font n working on my design. Very nice place, environment and chilled out people. Hope I will visit soon. I got my first tattoo and second piercing done from this studio. The experience was so good that I already a plan for another tattoo. The artist is super talented. I felt very comfortable with the professionalism and hygiene he maintained. Ryan the most brutally honest artist you’ll meet! Thanks for making my first tattoo experience great. We have a team of digital and creative artists mentored by Ryan Jb Drew. Our studio has received a very good response in the limited work we’ve done. Our vision to expand is fathoms. Take a look at our portfolio and let us work on your dream tattoo.